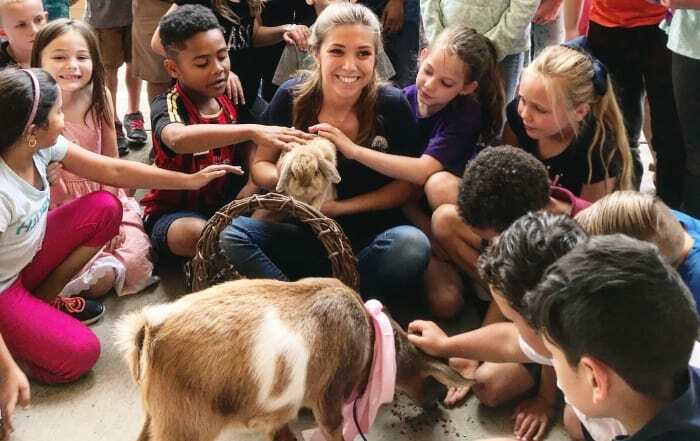 More than 15 years ago FFA and some of its key contributors recognized the importance and benefits of support and connections at the local level. Dealer programs were developed to offer opportunities to chapters and members with a chance to cultivate and strengthen connections between local businesses and chapters that would both sustain and be mutually beneficial. 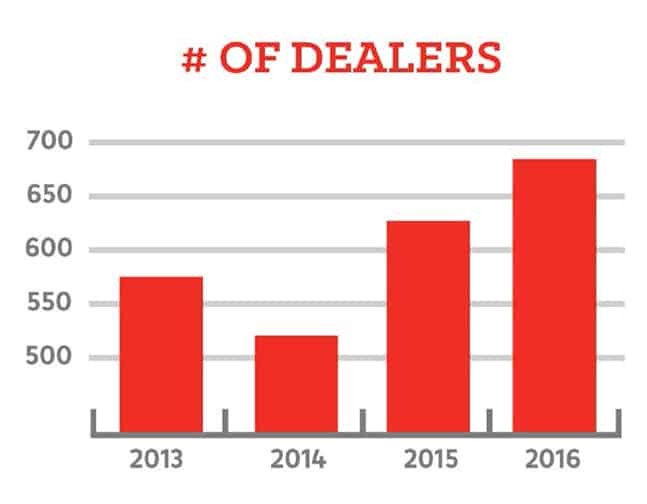 Since the first dealer program launched, the number of local business and dollars have increased significantly to offer immeasurable impact to both individual members and entire chapters. Programs funded by local businesses have grown in both size and diversity so much that FFA has retired the term “dealer program” to encompass the wide range of support from different business types and in 2015, the term “local engagement program” was born. 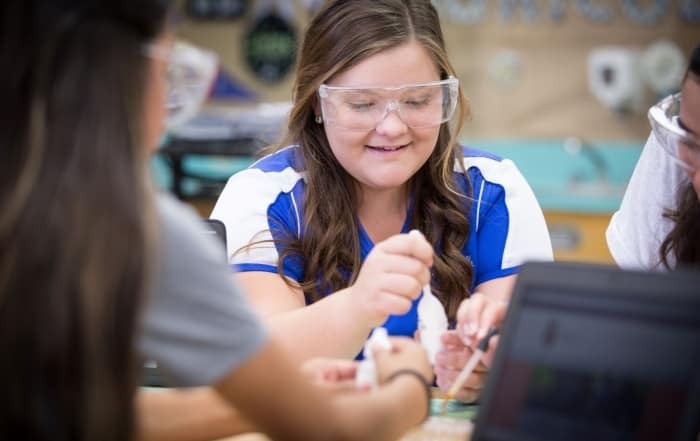 Currently, automotive and tractor dealers, agricultural retailers, seed growers, restaurants and manufacturers contribute time and resources to offer funds for scholarships, grants and blue jackets. Connect local businesses with local FFA chapters. Help build strong communities by developing relationships between the local business, community and chapter. Provide great resources for chapters to secure funding, mentorship and engagement opportunities. 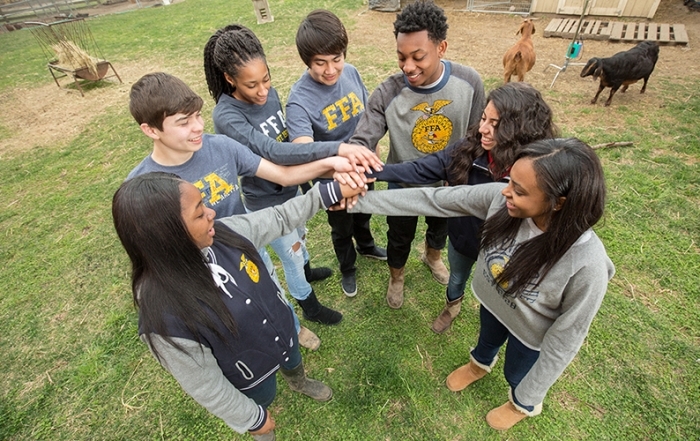 The iconic FFA blue jacket is a beacon of community and pride. As a part of the FFA Official Dress, it is important that students gain the full experience and benefit of being an FFA member. 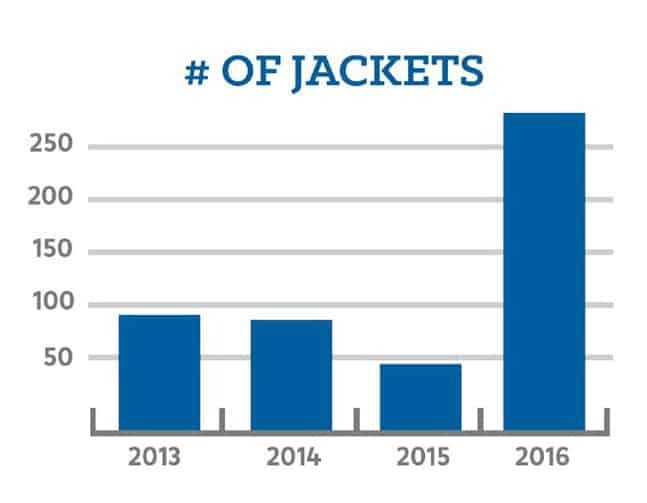 Through several sponsor driven and individual nomination , FFA and its supporters have made it possible to put jackets on the backs of those students that would not otherwise have the opportunity to own a blue jacket. A chapter grant offers members the opportunity to experience and take part in activities in which they otherwise would not have been able to. One benefit is the measurable impact a grant can have on an entire community. Grants help build strong communities and lasting relationships between FFA chapters and local businesses. 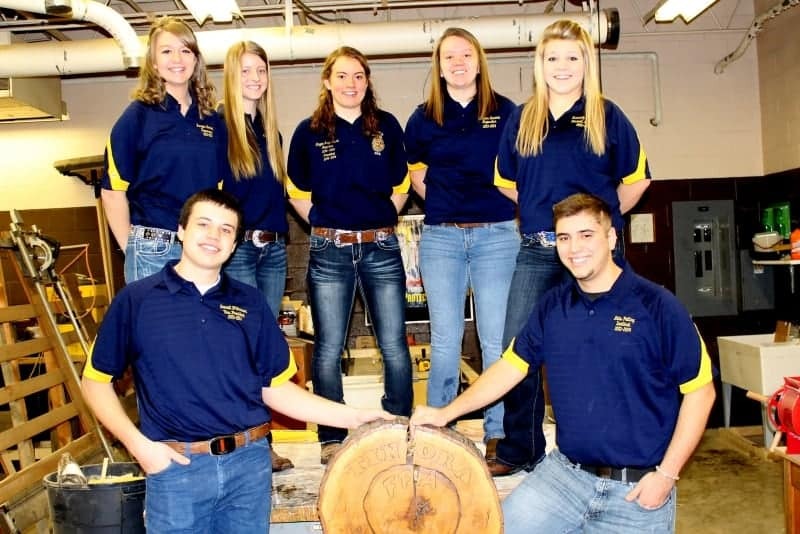 Additionally, they offer businesses a direct pipeline to the many talents FFA members possess. The FFA offers scholarships to members and non-members who plan to further their education after high school. Scholarships are sponsored by businesses and individuals through the National FFA Foundation. Scholarships are available to match a wide variety of skills, experiences, career goals and higher-education plans. 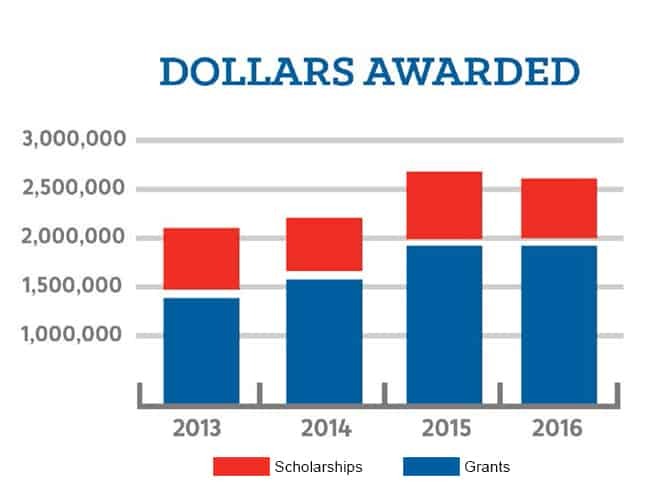 Over $2 million in scholarship money is available each year. Through our financial assistance programs chapters have the opportunity to win contests and secure unrestricted dollars through a number of programs that do not require final reporting. Retail programs provide funding through partnerships with local retailers and are dependent upon consumer donations through the sales of paper emblems, direct donations and sales based rebates. Yes, That’s an Ag Job! 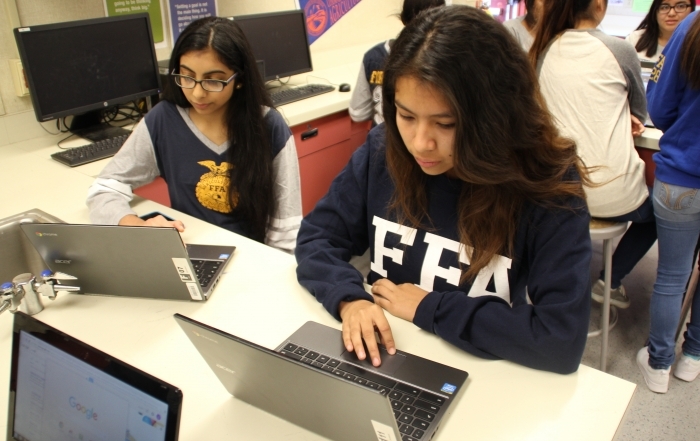 FFA and Grow Ag Leaders open doors for students to discover careers in a variety of fields within agriculture — and beyond.